Taxpayers in Chicago are shelling out millions of dollars to people who trip and hurt themselves on city sidewalks. According to records obtained by NBC 5 Investigates, the city spent nearly $6,000,000 between 2008 and 2013 in sidewalk-related settlements and judgments. The city faced 485 trip-and-fall sidewalk lawsuits in the last six years. According to the results of a Freedom of Information request, 314 of those cases are now closed in the city’s system and 70 percent of those cases were closed with the city paying no money. However, some are questioning whether the lawsuits could have been avoided in the first place. 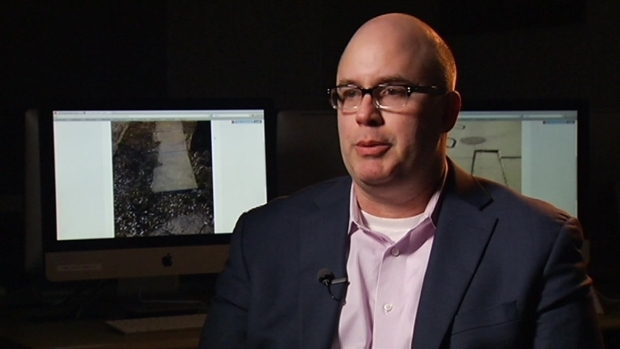 Mike Reilley, Online Journalism Instructor for DePaul University’s College of Communications’ Journalism Program, explains why he and his students started The Chicago Stumbler, a Tumblr project that maps and highlights “some of Chicago’s worst sidewalks,” and invites people to share their own photos and report problem sidewalks. Woolf said he also broke his nose and continues to have lingering health issues as a result. “I’ve had two operations and I still don’t breathe right,” Woolf said. Woolf received a $95,000 settlement. He said it was barely enough to cover his medical expenses. The city said it takes its duty to maintain sidewalks in reasonably safe condition seriously. “The amount spent on sidewalk maintenance, repair and replacement greatly exceeds the amount paid out by the city in settlements and judgments for slip and fall cases,” said Shannon Breymaier of the Department of Law. Breymaier said the Chicago Department of Transportation (CDOT) spent nearly $18 million in 2013 to improve the conditions of sidewalks and neighborhoods across the city. Alderman Tom Tunney said he is a supporter of taking better care of city sidewalks. Tunney points to the benefits of the city’s shared cost sidewalk program, which allows residents to split the cost of sidewalk repairs with the city while speeding up the repair process. “If you put it into 311, chances are it could take years,” Tunney said. 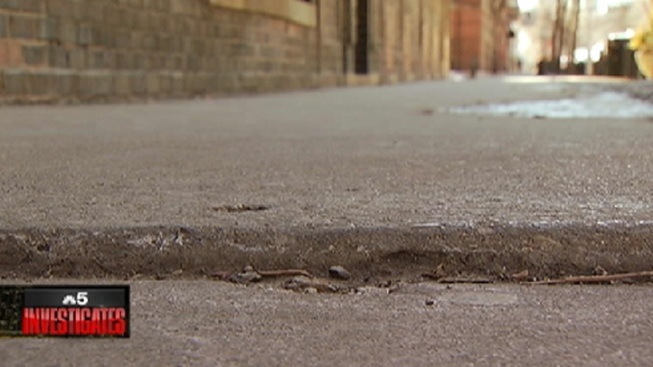 Chicago’s extreme winter may be adding to an increased number of sidewalk repair requests. City records show there have already been 2500 sidewalk repair requests in the first two months of 2014. A CDOT spokesperson said the city typically receives a lot of sidewalk repair requests every January. But the city averaged 1800 requests for sidewalk repair every two months between 2008 and 2013. CDOT said it is currently focusing on repairing potholes due to the extreme winter. Exposing where the problem sidewalks are located is currently a project being taken on by a DePaul University class taught by Mike Reilley. “It teaches them how to use mobile technology and micro-blog in an informative way,” Reilley said. The students often gather to walk near the Red Line to find sidewalks with cracks, crevices or other tripping hazards. “It’s such a huge issue and there are so many miles and miles and miles of sidewalks in the city,” junior Lindsey Murphy said. The class is posting photos on its website, The Chicago Stumbler. Reilley and the students are hoping the photos get the attention of city leaders.